Adjarakan a Georgian specialty combining bread, cheese and eggs. 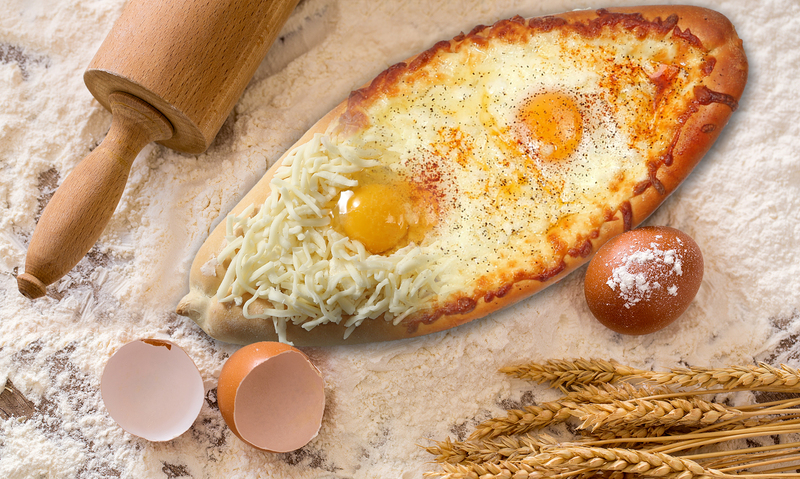 It is like an open face calzone with two eggs over-easy, on top of generously sprinkled cheese topped with pepper. Over the years this dish has become very popular amongst Armenians and others living near and around the Armenian community. We at Papillon take great pride in using only the best and freshest ingredients, and our Adjarakan is the perfect example of making something that people will enjoy eating and will continue coming back for more. The fresh bread combined with top grade cheese and organic eggs makes our Adjarakan one that you have to try with your friends and loved ones.